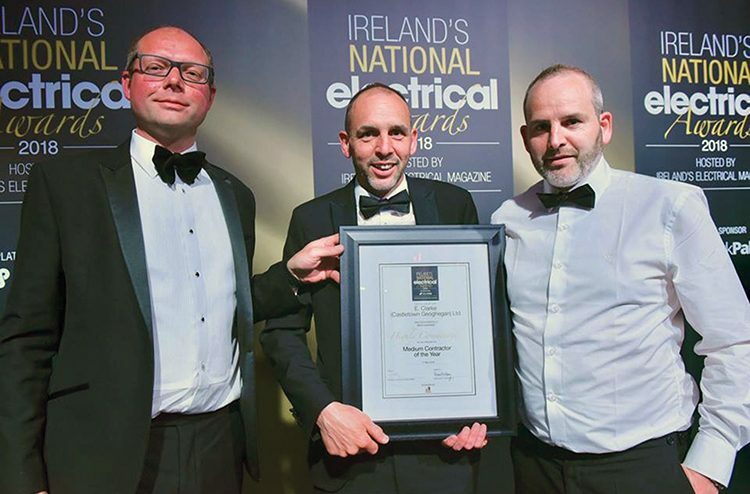 E Clarke (Castletown-Geoghegan) Ltd was among the winners at the 2018 National Electrical Awards which were held in Dublin’s Mansion House on May 11 last. 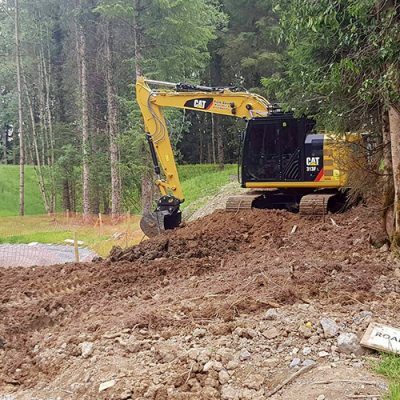 The second-generation, family-run contracting business saw off some stiff competition to win the Highly Commended Medium Contractor of the Year Award. No stranger to success on the hurling field, Pat Clarke was delighted to receive the prestigious accolade along with his brother and fellow company director Fintan from Geoff Angus of sponsors MET Collect. “It was the first time we were nominated for any award, so it’s brilliant for us,” Pat enthuses. 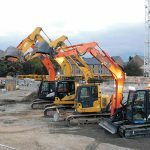 The success of E Clarke Ltd is very much built upon repeat business and long-standing working relationships. The contractor’s expertise was reflected in the work carried out at the Maynooth University Student Apartments, which it put forward as part of its award-winning entry. 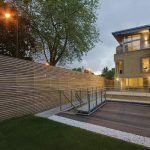 The project comprised the electrical services installations of a new 292-bed student accommodation in three courtyard blocks, including a new standalone energy centre refuge collection point and associated site works. As the project had been designed a few years prior to construction starting, the lighting design mainly consisted of fluorescent lighting. 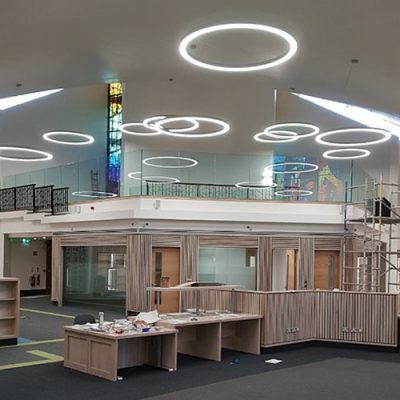 However, in conjunction with the lighting suppliers and the design team, E Clarke Ltd provided a complete LED light solution at minimal cost to the client. JJ Rhatigan was the main contractor on the project which ran parallel to another contract E Clarke Ltd was working on in Maynooth University at the time. “We were also the electrical contractors on the Education Hub Building which opened in October 2016,” explains Pat, who graduated from the Co. Kildare university with a BA in Maths Studies and Maths Physics in 2000. The €13 million building, which was built by Kilcawley Construction, houses the Froebel Teaching Training College, the NUIM Department of Education, Department of Adult and Community Education and the Centre for Teaching and Learning. The four-storey building includes a roof plant area over two blocks which are joined by a double height foyer / atrium on lower levels and functional spaces to the link structure on upper levels. Another education-related project the Co. Westmeath contractor recently worked on as a sub-contractor for BAM was the €34 million Human Biology Building in NUI Galway. 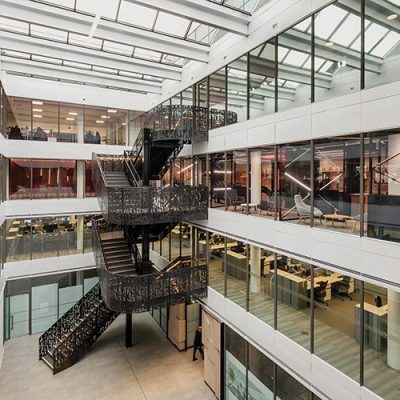 The five-storey building brings the disciplines of Anatomy, Physiology, Pharmacology and Therapeutics at the university under the same roof for the first time. It’s home to undergraduate and post-graduate teaching and is also the location for cutting-edge scientific and medical research by academics from across the campus. 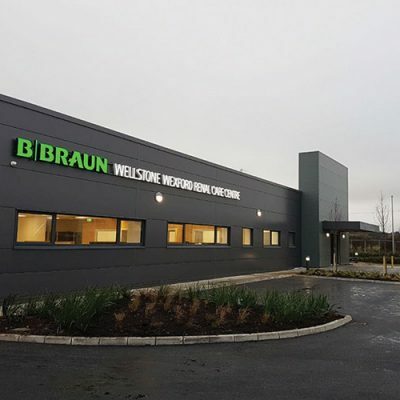 E Clarke Ltd has also recently completed electrical installations at two new Primary Care Centres in Tuam and Kilcock for the Prime-Balfour Beauty Consortium, which includes Balfour Beatty, JJ Rhatigan and Aramark. The consortium was chosen to provide 14 new Primary Care Centres nationwide as part of Ireland’s first healthcare Public Private Partnership (PPP) project. Currently, E Clarke Ltd is working alongside JJ Rhatigan on a mixed use development in Richmond Road, Dublin. 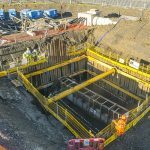 This project consists of the construction of 39 apartments, two commercial units over basement car parking and a new pedestrian / vehicular access road as well as the demolition and removal of the existing ESB station. E Clarke Ltd will shortly undertake works at the new Dean Street Hotel in Dublin 8 for John Paul Construction and at the O’Reilly Hall extension in UCD for JJ Rhatigan. Located near St. Patrick’s Cathedral in the Coombe area of the capital, the Dean Street Hotel will cost €40 million to construct and will consist of 263 bedrooms, a café bar and restaurant as well as conference facilities over six floors. “We’re very busy at the moment,” Pat says. “We’ve experienced huge growth since 2015 and now employ upwards of 60 staff directly. Many of our staff have been with us long-term and their loyalty has not only given us consistency but has enabled us to develop into the highly-regarded company we’ve become. The family-run business is celebrating 30 years as a limited company. Prior to 1988, founder Eamonn Clarke had spent 13 years working as a sole trader. Over the years, Eamonn and his team earned a reputation for providing a quality, reliable and competitively-priced service. Six years ago, Eamonn retired and handed over the day-to-day running of the business to his sons, Fintan and Pat, who have around 40 years’ combined experience in electrical contracting. The brothers are always actively seeking new opportunities and exploring ways to develop and grow the business. 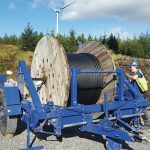 In recent years, the company has achieved certification in both Quality and Safety Management Systems which ensures the best end product to its clients whilst maintaining a safe working environment for its staff. The Clarke name is also synonymous with hurling and Pat was proud to be a selector with the Castletown-Geoghegan team that won the Westmeath senior hurling championship last year after a four-year lapse. Eamonn hurled for Castletown-Geoghegan and Westmeath for many years, while Pat, Fintan and another brother, Eamonn Og, have also represented their club and county with distinction. Fintan is currently Westmeath U14 hurling manager and recently managed Castletown to the All-Ireland Feile na nOg Division 4 Shield title.